Below you will find all the upcoming events which are organized by the EPGS. Please go to “Register” if you would like to sign up for one of these courses. 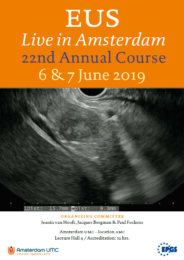 We are very happy to announce the 2019 edition of our annual Endosonography Live in Amsterdam postgraduate course. This course will be the 22nd edition and it will be held on 6 & 7 June 2019 at Amsterdam UMC – location AMC in Amsterdam, the Netherlands. Hot topics in Rectal Cancer Management. 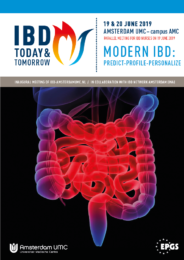 We are proud to announce the 4th IBD Today & Tomorrow congress on 19 & 20 June 2019. 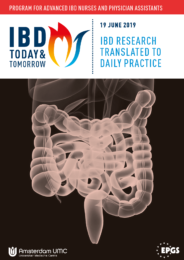 IBD research translated to daily practice. For details please download the pdf of the leaflet. Op 14 november hopen wij u weer te verwelkomen bij ons jaarlijkse congres: De meest gestelde vragen aan de Kinder-MDL arts.